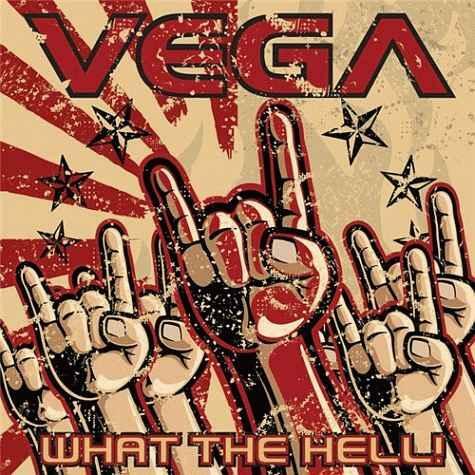 Rock & Metal 4 You: CD-Review: Vega - "What The Hell!" 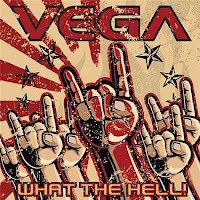 CD-Review: Vega - "What The Hell!" This spring seems to be a very good time for Melodic Rock releases. With Covered Call, W.E.T., Bon Jovi or Mike Tramp there are lots of high-caliber records on the way. 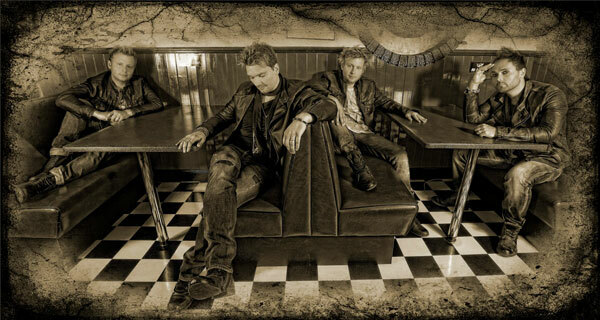 UK-Rockers Vega also want their piece of pie and send their new album "What The Hell!" into the race. Can they keep up with the fierce competitors? Vega's debut album "Kiss Of Life" was a small pearl of Melodic Rock/AOR in 2010. It could thrill lots of fans with it's Toto/Journey/Bon Jovi mixture. "What The Hell" sounds different. Vega added more guitars on most tracks and the traditional keyboard-sounds have been given away to a more modern sound. So they are still there, but they don't sound like the typical 80's keys, which were often used by those famous bands I mentioned above. This gives the whole album a very different charakter. The production sounds also very modern and underlines this new direction. By the way it's a first-class production! But don't be afraid - Vega are far away from beeing a "modern rock act". They still stand to their roots when it comes to the songwriting. Here we find classic 80's inspired AOR/Melodic Rock. Vega just added some more arena-feeling to their songs. Most tracks come along with strong choirs, for example the first single "White Knuckle Ride". It's got a terriffic chorus and the "hey, hey" shouts (typical for arena-rock) animate you to shout along. Songs like "Not There For You" and the amazing "Cry" live also from their strong hooks in those fantastic chorus-lines, big choirs and harmonies. With "Raise Ya Game" it seems the band want to show, that they wanna rock (otherwise just take a look at the cover artwork). This song delivers more hard rock elements than the other ones. In all these moments my enthusiasm was enormous. Sadly this changed with the first real ballad, called "Fade Into The Flames". This song has some good melodies to offer but this one is too long. From a certain point the song just gets boring. The problem is that the band needs some more songs to get back on track. It seems like Vega lost some of their ideas, especially in the middle part of "What The Hell!". "You Can't Run", "Bless My Soul" (terrible beginning) or "Turn It On" sound way the same. Where are the big hooks from the first 5 tracks? Even after repeated listening to these songs, they are not stuck in my ear. It would have been better if two of them didn't make it on the album. Better more quality than quantity. Fortunately, Vega get their songwriting-skills back in the last quarter of "What The Hell!". "Saviour" is a beautiful earwig, which is supported by the charismatic voice of Nick Workman. This guy is doing a very good job here. He sings much better than on "Kiss Of Life". After some songs his voice was going on my nervs at that time. Nowadays I can only say that Nick has lots of recognition value in his voice and he handles the high notes pretty good. The album closes with the Melodic Rock-anthem "Hands In The Air", which should have been part of the first five songs on this album, because it's simply one of the best on here. It's annoying ... technically everything is presented very good, a charasmatic singer, tight musicianship and some brilliant song ideas amaze me ... and then the big break. Uninspired, repetitive songwriting without any hooks spoil the fun and disallow Vega a better rating, although they would have deserve it. Nevertheless you should take a look on this album if you love this music. Seven to eight songs justify the purchase in any case! 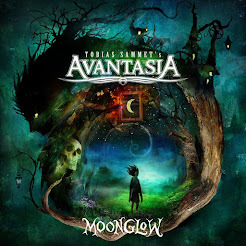 CD-Review: Avantasia - "The Mystery Of Time"
THE POODLES - new album "Tour De Force" in May! CD-Review: Pretty Maids - "Motherland"
KEE MARCELLO - new album "Judas Kiss" in April! CD-Review: Covered Call - "Impact"